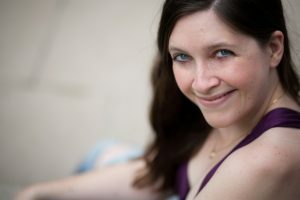 Elizabeth Clark, a native of Durham, North Carolina, is a graduate of the Indiana University Jacobs School of Music, where she earned dual Master of Music degrees in organ and sacred music, studying with Christopher Young, and in harpsichord, studying with Elisabeth Wright. She graduated from St. Olaf College, where she was a Regents Scholar. At St. Olaf, she studied organ with Catherine Rodland and served as a teaching assistant for music theory and as the organist of Main Street Moravian. She pursued additional organ study with Bjørn Andor Drage at the Music Conservatory of the University of Tromsø. She is currently the director of music at North Christian Church, Columbus, Indiana. In addition, she writes for and produces the nationally syndicated early music radio program Harmonia.